Share some of Southern Oregon's finest. 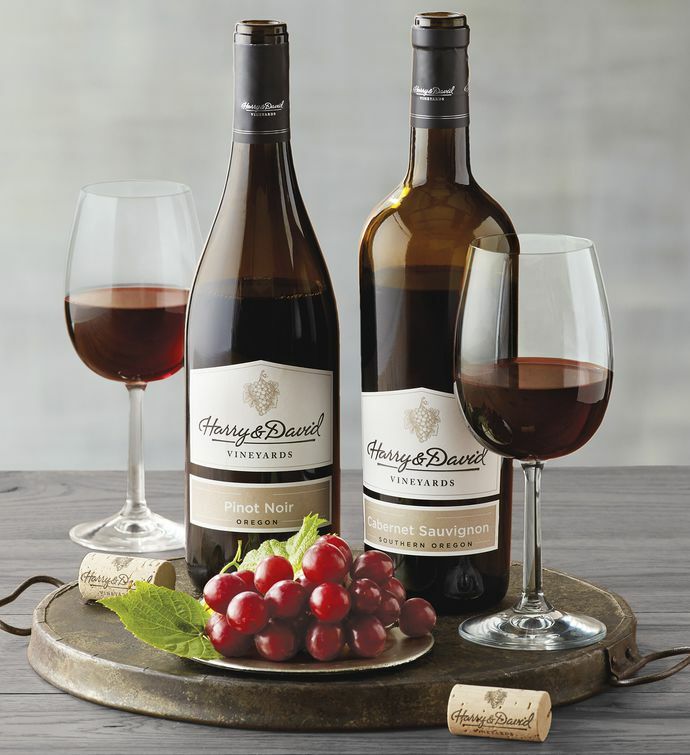 A duo of Harry & David™ wine, grown and crafted in the ideal climate offered by this part of the country, makes a marvelous gift for the wine enthusiast. Gift includes our 2015 Pinot Noir, the wine Oregon is known for, and our full-bodied, lush 2015 Cabernet Sauvignon.